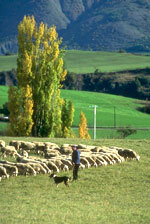 There is an incredible wealth of natural heritage to be found amongst the landscapes of the Isere department. The Austrian nobility have been attracted to this area since the early 1800's, when they began to spend their summers here. The Tour de France is also fond of using the department's steep mountain ranges and green valleys as a background for its cyclists. Isere's capital, Grenoble, also serves as the capital of the French Alps. It was showcased to the world in 1968 when it played host to the Winter Olympics. The writer Stendhal was born here and, over the years, never forgot the area. He commented that Grenoble had 'a mountain at the end of every street'. The town is picturesquely placed in between three mountains, the Vercors, Belledonne and Chartreuse. Grenoble's beauty comes not only from its natural setting but also its history, which is evident throughout the town. The Bastille Fort still offers the best view of the city. To get there, you can climb the 400 steps that ascend the mountain. Although, if you'd prefer an easy option you could just take the cable car up instead. In the 1960's the election of a socialist mayor was the catalyst for an influx of liberal intellectuals who have given the town its artistic and socially progressive reputation. The Belledonne mountain range is easily accessible from Grenoble. By car you can drive along its high altitude road, which offers fantastic views over the Gresivaudan valley. Here, you will find plenty of ski resorts and health spas to choose from. If the liveliness of Belledonne's resorts and spas are too much for you then why not head to the Chartreuse instead. Nine hundred years ago the Cathars decided that the quiet countryside and secluded forests of the area would be an ideal place to situate a monastery. Today, the place remains as the Cathars found it. The stunning Vercors were another focal point for the 1968 Olympics. Among the dark caves and deep gorges you will find a range of activities on offer. In the winter, people flock from all over the world to take part in everything from skiing to dogsledding. 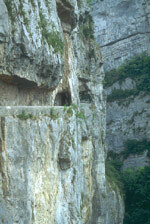 Much of the Vercors is under Regional Park status. There's a lot of choice when it comes to flying. There is Grenoble Airport, within Isère itself, then Chambéry Airport in the Savoie department, and Lyon Airport in Rhône. British Airways, as well as a host of budget airlines, fly to the French Alps. Geneva airport is also an option. If taking to the skies is not for you then there is an easy alternative. The TGV service will take you all the way to Grenoble from the Channel Tunnel (changing at Paris) in comfort and speed. With all that Grenoble has to offer its not surprising that prices are high. Due to rising land prices and a shortage of building plots, property prices in the winter ski resorts of the French Alps are increasing. If the area you're considering has a good snow record, however, then you shouldn't have any problem letting out your property. Do you know Isère better than we do? Do you have photos of Isère? Isere, department 38, can be found in the west of France in the Rhone-Alpes Just west of the French-Italian border.